As a combat sports enthusiast, that has been training and competing for 8 years with 50 bouts and over a dozen championships under his belt, I can conclude that my most favorite brand of bag of Gloves, of the Gel Bag Series by TITLE. I love virtually everything about them, except for one major thing. Typically, the standard Title Gel World gloves I train with only last me for 3 or 4 months despite being some of the most durable gloves one the market. However, after winning my first MMA championship earlier in the beginning of this year, my knuckles on my right hand were bruised. I had plenty of tournaments and championship bouts scheduled for calendar year 2016 and the Title Gel World gloves I traditional train with were wearing out. After years and years of replacing my bag gloves every few months I came to realize I desperately needed to upgrade to some knew gloves. When it came time to purchase new gloves, I came to my coach and explained to him my situation. Thus he suggested I try the Title Gel V2T gloves. The happen to be extremely identical to my go-to Title Gel World gloves which I liked except it came in different colors(blue-green) and where slightly more expensive. Figuring I had nothing to lose, and after so many years it was a necessary change, I immediately accepted his proposal and bought the Title Gel V2T gloves. 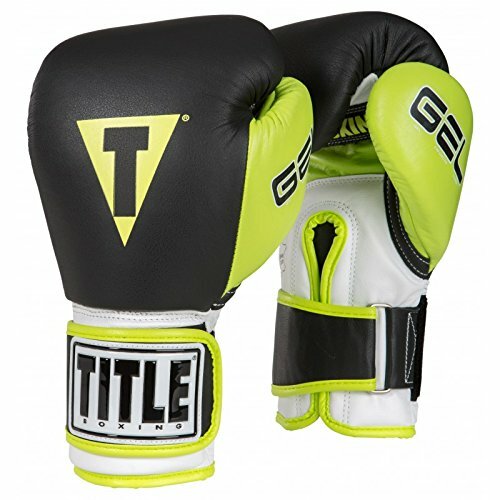 The Title Gel V2T addition is a little more expensive that the regular Title Brand, and also comes in more vibrant colors such as blue and green. Like its predecessors, they are simply designed gloves with no unnecessary paint, or material that wears or leaks off the gloves after extended periods of training. And there’s also no laces which makes alleviates the hardship of untying and retying your gloves every time you have to put your gloves on. Instead of laces, there’s a Velcro strap which can sometimes wear out overtime however I have yet to experience that with the V2T gloves that I have. The Title Gel brand is a noticeably heavier and tighter than most bag gloves, which is good because the added weight helps increase my endurance. And like most “decent” or better training gloves, they come equipped with an inner bar to grip in the palm of the gloves, helping secure your hands when you punch. Due the vigorous and volumetric nature of my training regimen, I wouldn’t recommend anything with less quality than standard Title Gel Gloves. 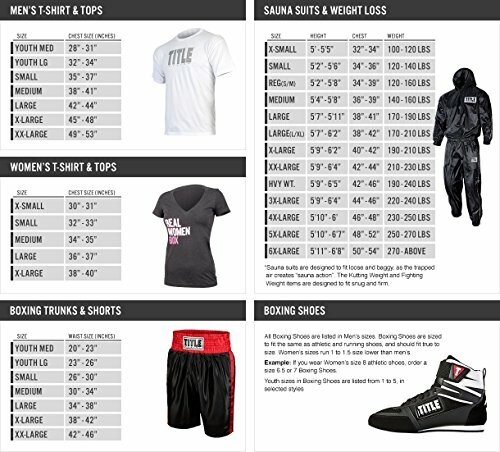 However, as soon as i began training with the Title V2T I immediately saw results. Like any quality glove, they take some time to fully break in and adjust to. And the Title V2T perhaps and degree tighter, snug, and thicker than the original. This made it easy to break in with my hand injury. Of course the most notable improvement is the added durability due to the extra lining and padding within the gloves, which allowed me to continue my training at a high pace after transitioning from my former pair of Gel bag gloves. Typically, when I train, I average round 6000+ punches per session. The average force of a boxer’s hardest punch ranges within 800-1000psi. And with every punch you throw, due to the law of physics, puts the same amount of force back on you hand, wrist, arm etc… I can’t stress how crucial it is to train with gloves that can absorb the shock of impact when making contact. I have never came across a pair of training gloves that gave such protection on my knuckles and wrist while punching. With the increased padding on the V2T, these gloves can take a tremendous beating. What I tend to enjoy as much as the added durability and secure fit, is the weight of the Title Gel gloves. 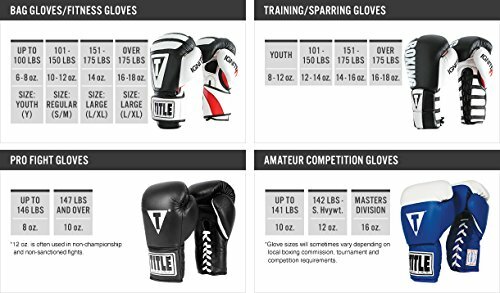 In completion, the heaviest gloves permitted are 12oz gloves. As I said earlier the weight of the 16oz gloves are an excellent way to develop endurance. Though the 4 oz. may not seem like a big difference, the moment the essence of fatigue sets in, a few ounces will feel like multiple pounds. And training with heavier gloves than you compete in is perhaps the best way to acquire the discipline needed to maintain form, technique, speed, power, and efficiency when in competition. In short conclusion my favorite pair of bag gloves thus far is definitely the Title Gel V2T. They offer the best amount of comfort and protection from intense and long periods. And in my opinion offer the best bang for your buck for any glove that is currently on the market. More importantly, as a fighter that’s in the gym 5-6 days a week’s, and sometimes trains up to 3-4 times a day. These Gloves protect my hands and allow me unleash on heavy bag, and focus mitts without me having to worry about replacing them 3 or 4 months later. The pair I have currently, I’ve been training with constantly since the end of March, almost seven months, and I have yet to experience any sort of hand pain that I would usually feel after 3 months of training. For the roughly 30 or so dollars I spent extra for these gloves, they were definitely worth it, not to mention I ended up saving more money on bag gloves. Brima purchased this pair of Title Gel World Bag gloves himself for the full price. This did not influence the outcome of this review. Comment from discussion Title Gel World V2T Bag Gloves Review – Brima Kamara.